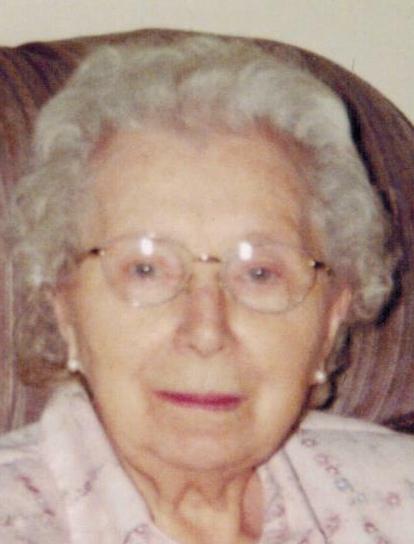 Maryann S. Koby, 106, passed away Monday morning, April 1, 2019, on her birthday, at St. Francis Home. 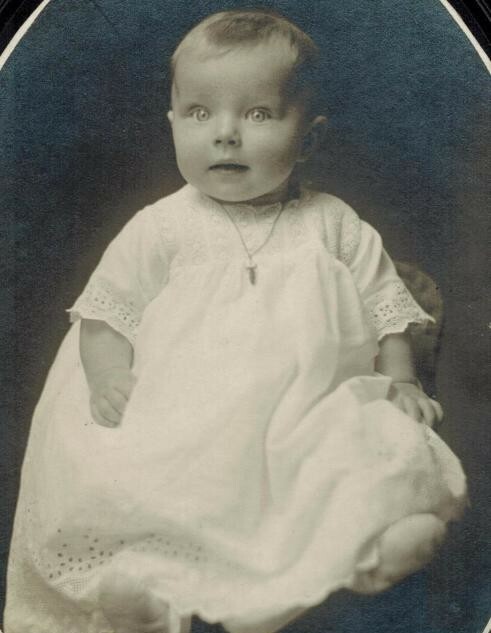 She was born on April 1, 1913, in Alvada, Ohio, the oldest of seven children, to August and Ida (Blechinger) Weimerskirch. She married Austin Koby in February of 1936 and he preceded her in death. Survivors include her daughter, Dorothy (Kenneth) Hoerig of Tiffin; three grandchildren, Dennis Hoerig, Diane (Randy) Benner and Douglas (Andrea) Hoerig; six great-grandchildren, Tyler Bowes, Alyssa Hoerig, Breanna Hoerig, Colten Hoerig, Ryanne Benner and Jacob Benner; and many nieces and nephews. She was also preceded in death by her parents; son, Eugene “Gene” Koby; five brothers, Carl, Elmer, Paul, James, Francis and infant, Julius; and grandchild, Deborah Bowes. Maryann worked at Tiffin Glass House, was a housekeeper at Heidelberg College and was a homemaker. She was a member of St. Joseph Catholic Church and enjoyed raising African Violets and Roses, doing puzzles, baking pineapple cookies and especially loved family get-togethers. Maryann lived at St. Francis Home for the last six months, but up until that point, she lived at home and was driving until she was 96 years old. Her Funeral Mass will be Friday, April 5, 2019 at 10:00 A.M. at St. Joseph Catholic Church with Rev. Joseph Szybka officiating. A Rosary will be prayed 20 minutes prior to Mass. Burial will follow in St. Joseph Catholic Cemetery. Memorial contributions can be made to JDRF (Juvenile Diabetes Association), St. Jude Children’s Research Hospital, St. Joseph Catholic Church, or to the ALS Association. Hoffmann-Gottfried-Mack Funeral Home & Crematory is assisting the family with arrangements. | 236 S. Washington St.